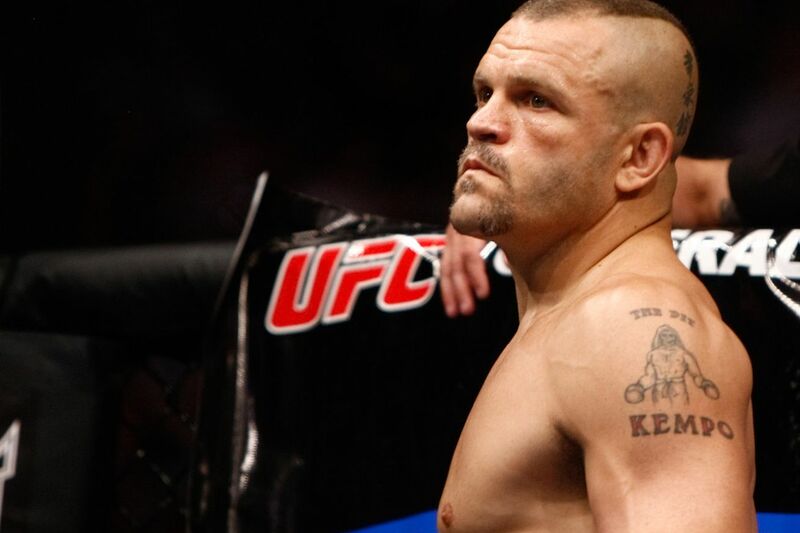 Chuck Liddell knocked out Tito Ortiz in a a long-awaited grudge match at UFC 47. Most of the fight was on the feet, and Liddell used a right-left combination to KO Ortiz at the 38-second mark of Round 2. Andrei Arlovski was supposed to battle Tim Sylvia for the vacant heavyweight title, but the card was reshuffled. Instead, Arlovski beat Wesley “Cabbage” Correia by TKO in Round 2. Arlovski would have to wait until UFC 51 to battle Sylvia for the title. Mike Kyle made his UFC debut by knocking out 6-foot-10 Wes “The Project” Sims in another heavyweight fight with one second left in the first round. Also on the pay-per-view, Nick Diaz knocked out Robbie Lawler in Round 2; and Chris Lytle used a bulldog choke to defeat Tiki Ghosn in Round 2. In the lightweight division, which was still without a champion, Yves Edwards won a split decision over Hermes Franca. Before the pay-per-view went on the air, Genki Sudo defeated Mike Brown by submission to a triangle armbar in 3:31; and Jonathan Wiezorek beat Wade Shipp by TKO at the 4:40 mark.